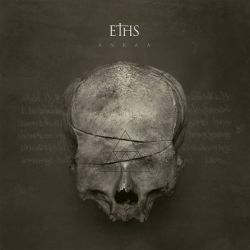 Hailing from France comes Eths… a band that packs many styles of metal into a Potpourri. They have groove metal, along with shadings of death metal, alternative metal, deathcore and nu metal. Combining so many metallic ingredients like this can be a tricky thing… can this band pull it off? Just got to read on, my friends. Brutal, extremely harsh music with a female vocalist who is as crushingly heavy as any singer out there, the band has the making of something to shout about. Sung entirely in French, it brings a sort of mystique to it all- especially when you don’t speak it. But the novelty does burn off rather quick. Musically strong, the quintet seems to barrel along at a break neck pace, changing between influences as fast as you can think. The music cracks your skull many times in one second, but sadly it leaves your consciousness as fast as it enters. It never retains in your memory… it blurs as the product as a whole hold no one’s attention span for any length of time except for scattered moments here and there. What is there is enjoyable to here, and makes you headbang along, but as soon as the song is over, you forget it. Eths are a great collection of musicians and well executed songs… but those just do not stay with me. I enjoyed it, but alas… none of it stayed long enough for me to have the urge to hit play again.